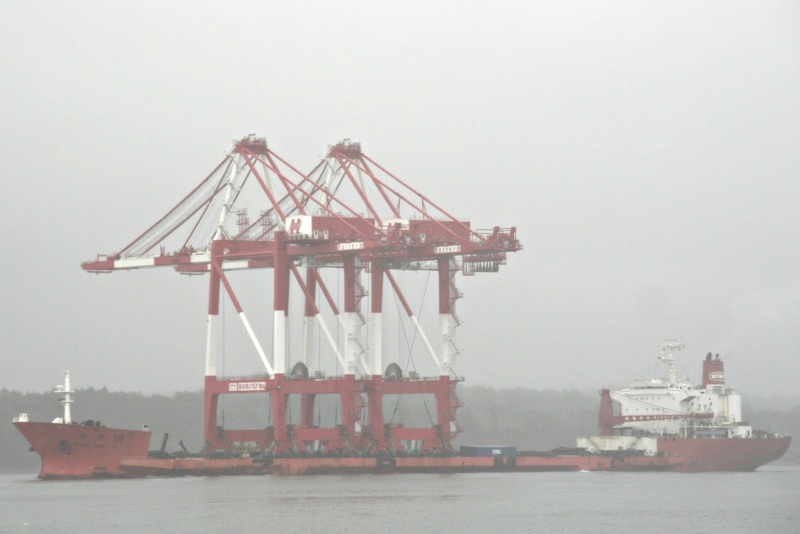 Halifax’s New Cranes have arrived from China. ZPMC’s vessel, Zhen Hua 19 arrived in port today. A good crowd and lots of media turned out to watch their arrival. CBC News at 6 tonight Should have an interview with me on the cranes arrival. the cranes should take a day each to install. Zhen Hua 19 will tie up at the pier Saturday night and roll the cranes off. They will then relocate the original Crane on Pier 42, to Pier 41, next to its partner. 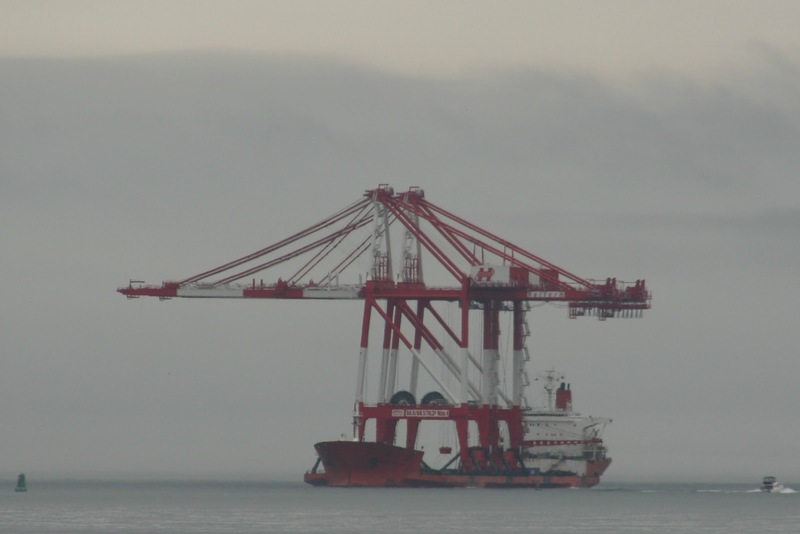 ZPMC operates a fleet of vessels (All named Zhen Hua ##) to deliver their cranes. they feature low decks to allow the cranes to roll off easily. More to Follow, Including Video. This entry was posted in halterm, new cranes, pier42, port on August 23, 2013 by Peter Ziobrowski.